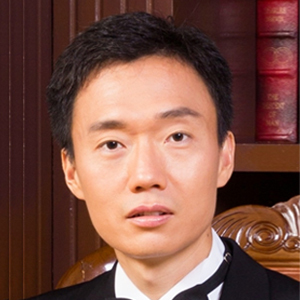 Dr. Kehan Xu is an Adjunct Associate Professor of Management in The Chinese University of Hong Kong. Dr. Xu’s research focuses on brand disposal and acquisition, control system design, executive crime, and machine learning applications. Dr. Xu has published in top scholarly journals such as Journal of Management Accounting Research, Journal of Management, and Academy of Management Perspectives. Kehan Xu received his PhD in management from the Mays Business School at Texas A&M University, and his MBA in investments from the University of Miami. Dr. Xu is the co-founder of Blue Sea Capital (Asia) Limited, which seeks to capitalise on behavioural biases that causes the public equity market to over-react. Dr. Xu is also the co-founder of Dawnrays Biotech Capital (Asia) Limited, which focuses on private innovative monoclonal antibody (mAb) projects and clinical studies. Before embarking on his academic career, Dr. Xu served as the Executive Director and Chief Financial Officer of Dawnrays Pharmaceutical (Holdings) Limited (2348 HK) and Executive Vice President and Chief Financial Officer of Sing Lee Software (Group) Limited (8076 HK), both of them IPOed in the Hong Kong Stock Exchange.